Ankou is one of several planetary bodies within the solar system of the Imperial world of Jornath. While considered by Imperial auguries to be a moon of the system’s capital its distance from the coreworld, would truly classify the stellar body as its own settled dwarf planet. The planets role in the social and political organizations of the Jornathii culture is curiously part guardian and part enslaved penal world. The vast majority of this mineral bounty was in the form of Gypsum, indeed Mechanicum Surveyors calculated that the composition of the moon may be as much as 45% made of the mineral. Tantalized by the numerous practical industrial applications of gypsum, the Adeptus of the Imperium began establishing hundreds of servitor controlled harvesting installations across the surface of the moon, each linking to one of three hub cities with an interlacing web of terrestrial roadways, promethium pipes, and kilometers of cabling. In these early days, before the heresy, the Imperial Truth still reigned as the predominant ideological current of humanity. On Ankou though, this truth was being manipulated by the early vestiges of groups which would become the Cult Imperialis, these groups viewed the Emperor of Mankind and his sons as divine and held the early colonial ruins under the surface of Ankou as holy places. The Mechanicum overseers of the mining efforts were only too happy to corroborate and promote this view, as the number of converts willing to accept the suite of invasive bionics to survive unaided on Ankous airless surface increased significantly as these groups grew in popularity. It was decided by the Ankouvian High Civitian and the Mechanicus Magos that these groups should be given a formal voice in the administration of the moon if only to better control the masses. Thus the Moulding Gate of Gouibon was founded, the Moulders established chirurgical centers around each of the cities of Ankou, these places were known as Gatehouses, and within aspirants would worship the Emperor and the Omnissiah, progressing through the ranks of the order, by doing good works within the wider community or by fundraising for ventures into the subterranean ruins. 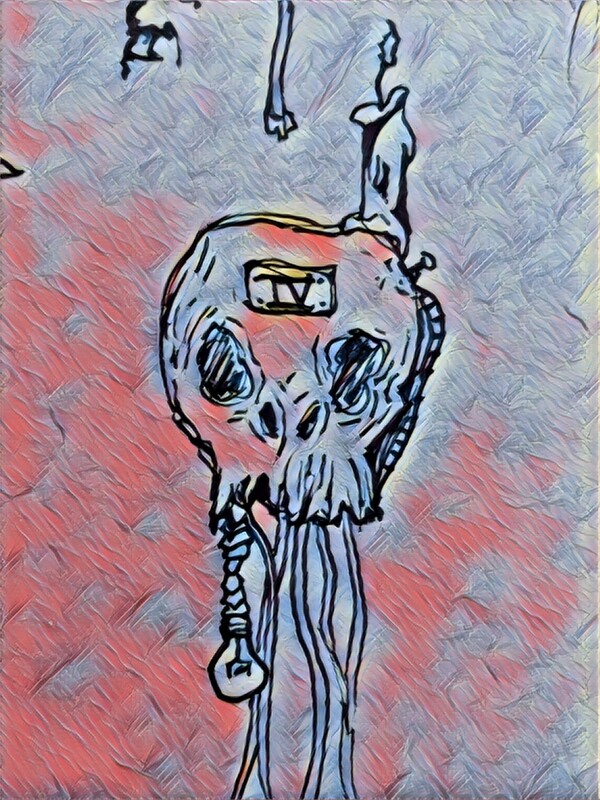 As an aspirant progressed, they would surrender more and more of their body and organs over to mechanical augmentation until they could survive without aid on the surface. These followers would be known as the Gouibon Susareian (the name for the Men of Iron in Jornathii Low Gothic, and the term for explorer) and it is these souls who would go forth into the darkened depths of the world in search of divine answers and archaeotech. 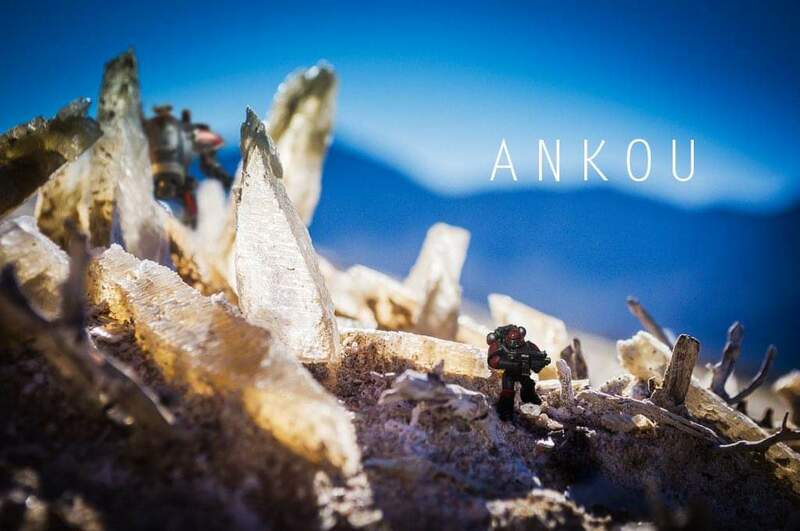 When the Horus Heresy erupted in the Imperium, and loyalties on planets across its breadth were tested, Ankou found itself in a particularly favorable situation. On Jornath small skirmishes broke out between families and guilds loyal to the warmaster and those who still held the emperor as master, but on Ankou the spread of the Moulding Gate and the singular control of only one group of the Mechanicum ensured that only limited rioting and a rather pathetic miners uprising in the warmasters name occurred. In the wake of the Heresy, Ankou was lauded for its loyalty. It was given the task of re-educating those that stood against the Imperium in the Civil War. 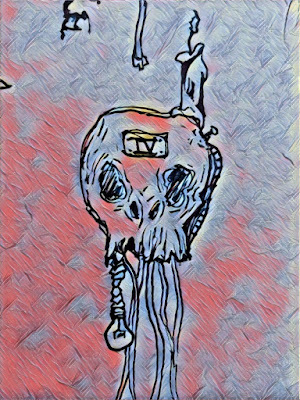 A task which the already zealously enthusiastic men and women of the moulding gate and the vengeful scions of the now mechanicus took too with particular vigor. The punishment of the families sent to Ankou in disgrace for their transgression of betrayal would be 100 generations of servitude in the Emperor’s name. None of these generations could enter their deeds in the noble enscroll of the families of Jornath, though they would still retain their noble titles and wealth. All were permitted to bring their associated retainers, huscarls, cohorts, and servants to the surface Ankou. It was seen as completely un thinkable to kill the traitors, they were after all, still nobility. So it was that the Equites Redempto, was created on Ankou. These Penal colonists would comprise a huge amount of the workforce, the noblemen acting as the defacto overseers who were, in turn, ruled over by the true Imperial administration of the High Civitan of Ankou and those Ankouvians not beholden to the penal sentence of the Equites Redempto. For thousands of years, Ankou continued to grow in scope, its cities growing into hives, and its mines running ever deeper into the flesh of the planet. By this point the Ecclesiarchy had taken firm control over the doctrine of the Moulding Gate, seeing its beneficial nature to the function of the planet, they contributed their own assets to the furthering of the Gate’s goals, all while making enormous sums of money from the sale of augmentations. To expand this enterprise the leaders of the Moulders, reached out to the chartist captains in the region who ferried pilgrims around the sector to its various cardinal worlds. 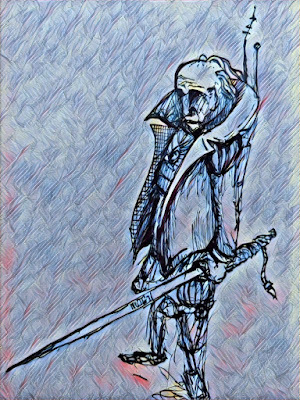 They signed an under the table agreement called Concordant 92d, with a chartist line heading through the neighboring Bantin system en route to Casa Urients seaborne cathedrals. The Concordant meant that every tenth vessel would deliver its cargo to the surface of Ankou instead, a journey which took a quarter of the time, and the Moulder’s were willing to pay the same amount as the Cardinals of Casa Urient. It was not hard to convince the captains that this venture was worthwhile. The pilgrims on board these vessels, were of course less enthusiastic about this prospect, though many have little money left to them to get off-world, leaving the mines and the Moulding Gate as the only real alternatives left to them. When the War for Jornath broke out, Ankou’s roll in the systems defense would be early warning and limited defensive outpost for the systems monitor fleet. The moon is in a far orbit from the planet, placing it closer to the systems cardinal mandeville points, and this makes it perfect to act as a staging place for defense forces. When the initial Ork invasion force arrived, Ankou was on the opposite side of its orbit from the fleets approach, meaning that Jornath’s orbital platforms and a limited number of its monitoring ships were available to counter the Ork’s arrival. 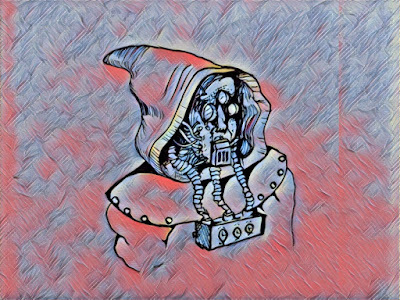 For the first several years Ankou continued in its mandated roll guarding the systems perimeter, and harvesting material for export, awaiting the potential call to send aid to its liege world. In the early months of the War’s third year, a massive burst of psychic and digital energies slammed into the moon from the heart of the combat zones on Jornaths surface. This event was called the Emerald Scream by Imperial authorities and would send the entire battlespace into chaos. The long range vox and astropathic choirs were scrambled or killed, leaving communication with the moon during this period totally severed. On Ankou this immense burst of energy would have much more extreme effects, each of the Hives on the moon began transmitting repeating psychic and electromagnetic signals into the void on repeat. Every device capable of sending the transmission into space was bent to that task. For many within the society of Ankou, the signals brought madness. Converts into the Moulding Gate, were affected severely their minds wired into the planets digital network were affected by a form of orkoid psychic scrapcode. The Equites Redempto were similarly affected, the inhibitor circuits, implanted in their brains from birth as insurance of loyalty acted as conduits for the screams corrupting influence. Ankou turned into a bloodbath, in later years it would be called the Ankouvian Civil War, though this name implies that uncorrupted forces on the planet were able to mount any sort of significant resistance to the Berzerker’s tearing the moon apart. What resistance was available came from the High Civitan Sabrina Tursur, and roughly ten thousand miners, and novitiate converts into the Moulders, who were spread across each of the three hives. Their resistance to the corrupting influence of the Emerald Scream, was also the thing that trapped them inside the hives, unable to survive for any length of time outside the protective bio-domes, the loyal Ankouvians that remained attempted to fight their way into the Hive Spires using mining equipment, and cheap autoguns. They suffered incredible casualties in the attempt, and by the time that Battlegroup Ankou arrived to the planet, to reinforce it against the encroaching alien reinforcement fleet, and to shut down the screaming void signals. Only about 2500 loyalist Ankouvians remained alive, held in the High Civitans palace at the pinnacle of Linces Hive. These loyalists would be reinforced by the Imperial Dragoons of Task Force Gideon, and would be removed to the Battlegroups flagship for through investigation by the Ordos of the Inquisition, who were hoping to glean some useful morsel of information about the mysterious and catastrophic situation which had unfolded here. Please refrain from profanity and adult content. Thank You.